(Nebraska) — Omaha Website Content Writer Susan Stern is your go-to person for exceptional writing for business. Ms. Stern differs from most, she humbly notes: “I write for not only aesthetics, but for Search Engine Optimization – to boost website visibility on Google, Bing and Yahoo,” remarks Omaha copywriter Susan Stern. From blog and website content writing, social media, to on & offline journalism/pr articles, including, Omaha News Release production and distribution – Stern PR Marketing™ handles all things copywriting. 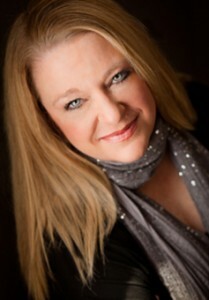 Susan Stern also writes TV/Radio commercials. Print advertisements. Brochures. Flyers – traditional marketing – her forte. Tight verbs, descriptive adjectives with no extraneous words. 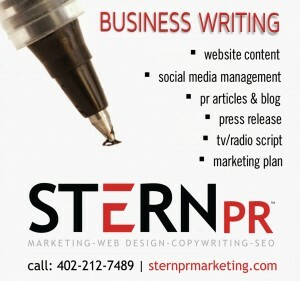 Stern PR Marketing’s Susan Stern is an exceptional Omaha copywriter available to help your business with name-branding, building and maintenance via words. On & offline. Catchy slogans. Newsworthy Press Releases. Interesting website content writing. Count on Susan Stern. An exceptional Omaha copywriter indeed! Send a Note Contact Susan Stern Direct!